At some point, many people in Okotoks will require a dental crown to restore their teeth. 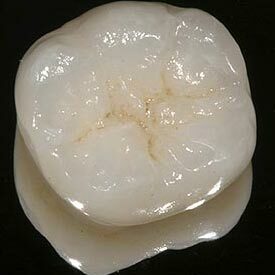 A dental crown (commonly known as a cap) is a dental restoration that replaces the outer surface of your tooth with a ceramic material and/or gold. Call Cornerstone Dental at (403) 995-1800 to request your Dental Crowns appointment today.